IBM has lined up 15 European partners for a cloud computing research initiative. How will North American channel partners potentially benefit from cloud computing experiments performed on the other side of The Big Pond? Hmmm... Here's some speculation from the VAR Guy. 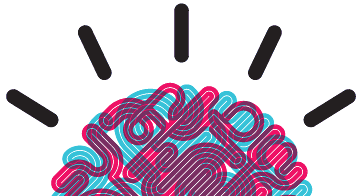 IBM has lined up 15 European partners for a cloud computing research initiative. How will North American channel partners potentially benefit from cloud computing experiments performed on the other side of The Big Pond? Hmmm… Here’s some speculation from the VAR Guy. the massive computing power demands that are affecting quality of service. The cloud research effort includes media companies, telecommunication companies, healthcare and academic institutions. Together, the organizations will focus on “VISION Cloud,” short for Virtualized Storage Services for the Future Internet. VISION Cloud will be tasked with developing new approaches to the way data is represented, handled and preserved. Skeptical of IBM? Is VISION nothing more than marketing rhetoric? Before you dismiss Big Blue let’s look at some other IBM research moves. Rewind nearly a decade and you’ll find that IBM invested roughly $1 billion in Linux-related research and development. The net result: The entire IBM ecosystem — technology partners, VARs and customers — found new ways to benefit from open source. Fast forward to the present and The VAR Guy has his eye on IBM and its VISION partners. Don’t have cash to buy a car? Don’t worry, just because that is achievable to take the business loans to solve such kind of problems. Thence get a term loan to buy everything you need.